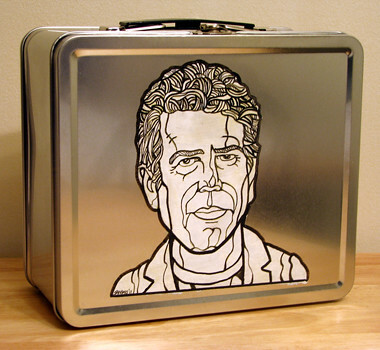 Experimental, hand-painted Anthony Bourdain metal lunch box. Media: Acrylic, Permapaque and copic pens on a metal lunch box. Awesome idea! How about a whole series....Andrew Zimmern, Emeril, etc. Only "real chefs"!